I’ve heard it said that identifying and naming the problem is half the problem. Pity I’m so short on ideas about how to work on the second half. 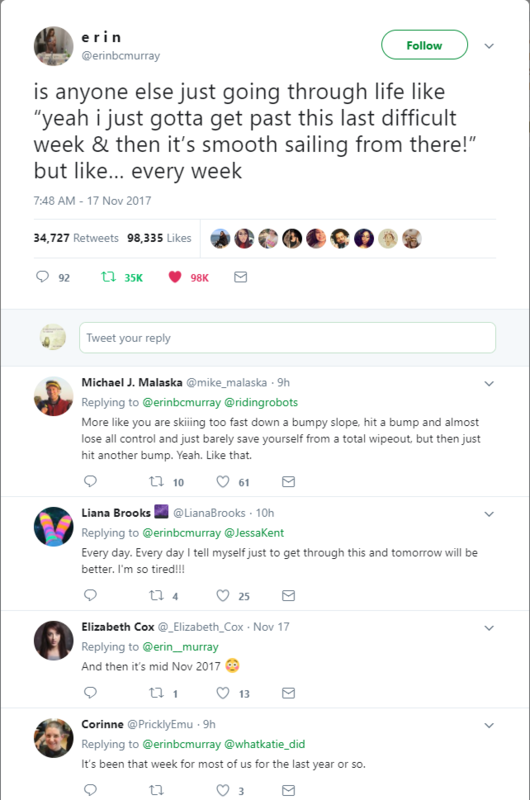 It’s not clear if going from “if I can just make it through this week” to “if I can just make it through two days” is progress or regression. I took a day off on Friday. All I did was go into the city, collect new glasses, see an exhibition, have a meal out…. and come home in time to watch ski-jumping on tv.